Ever since I turned my calendar to the month of February, chocolate has been on my mind. Everywhere I go, there’s chocolate in my face. The stores are filled with chocolate displays for Valentine’s day even before January ended. 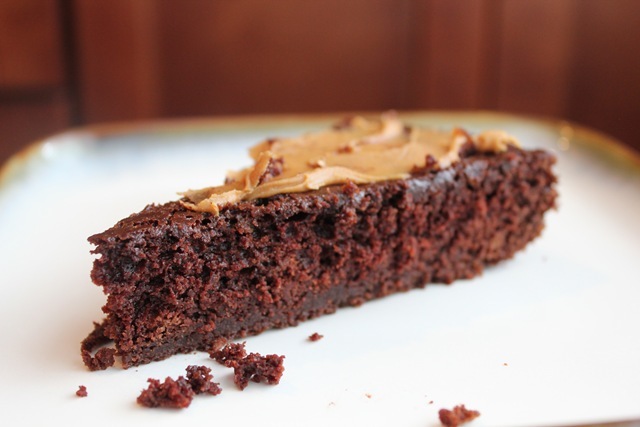 Since I know I will be enjoying some decadent chocolate desserts this week, I wanted to make something at home that was healthier and I can enjoy without having a sugar crash. Don’t be turned off by the name, because this chocolate is good. 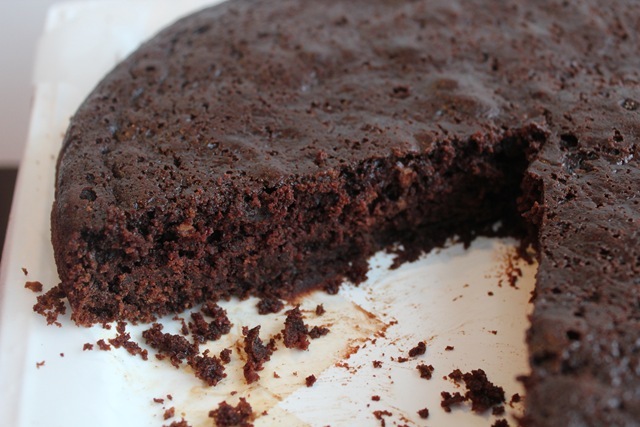 Avocado makes this cake moist and the avocado taste is undetectable. Since I didn’t know how the cake would turn out, I made two so I can play around with different ways to serve it. With or without frosting? one or two layers? Preheat oven to 350. Grease and flour two 8-inch rounds. Set aside. Sift together all of the dry ingredients except the sugar. Set aside. 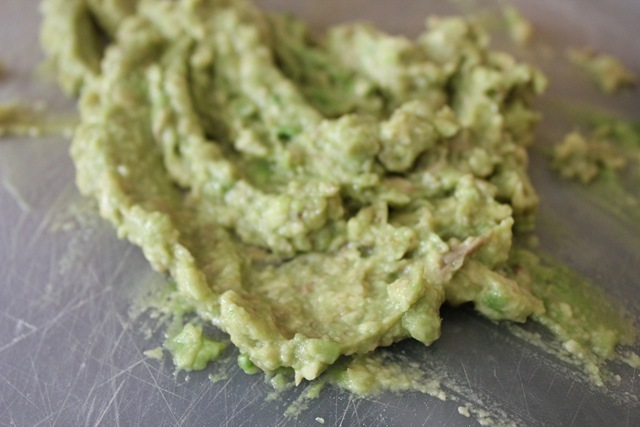 Mix all the wet ingredients together in a bowl, including the avocado (make sure the avocado is well mashed and smooth). 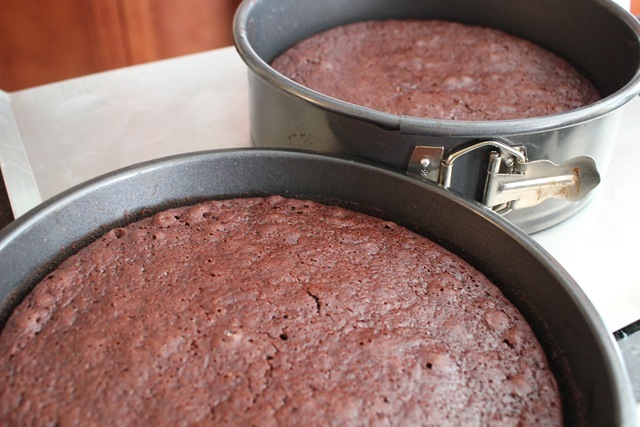 Let cakes cool in pan for 15 minutes, then turn out onto cooling racks to cool completely. Frosting optional. The cake is best eaten within 2 days. when it is moist and the texture is dense. I gave away the second cake to my mom and my sister. If I hadn’t mentioned that there was avocado in the cake, they wouldn’t have guessed. Joy made avocado buttercream frosting for her cake, but I kept my cake simple and I ate each slice with different frostings. My favorite is putting a thin layer of Biscoff on the cake. This was my favorite combination. Chocolate + Biscoff = Bliss!! 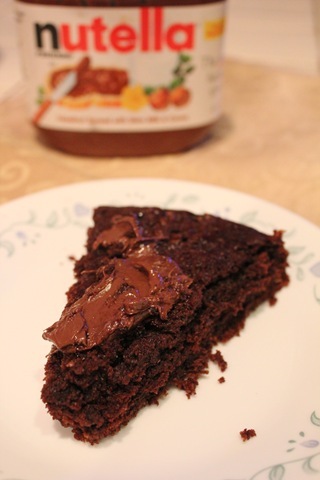 I also ate a slice with Nutella frosting on it. Are you planning to celebrate Valentine’s Day? Will you be eating a lot of chocolate this week? I want to try a black bean brownie next. I’ve had a few recipes bookmarked but I’m not sure which one to try yet. I learned something new — thank you for sharing! Joy The Baker has amazing recipes! Looks fabulous! Thank you. 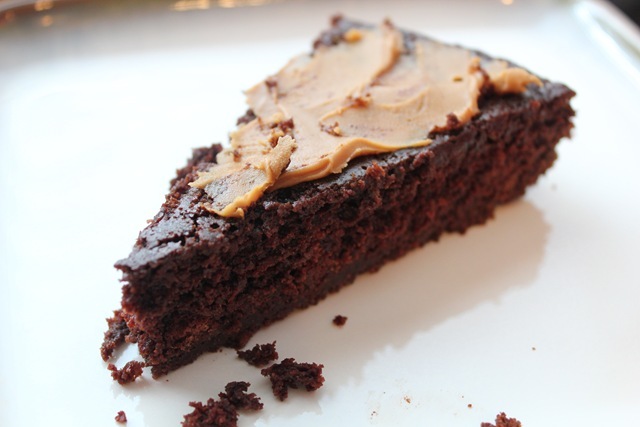 I’ve never thought of combining avocado and chocolate together until I saw this recipe. I was still hesitant while I was making it, but I’m glad it turned out well. This looks incredible! I have made pudding with avocado before, but not cake. Yum! That’s looks delicious and decadent, doesn’t look dry at all. 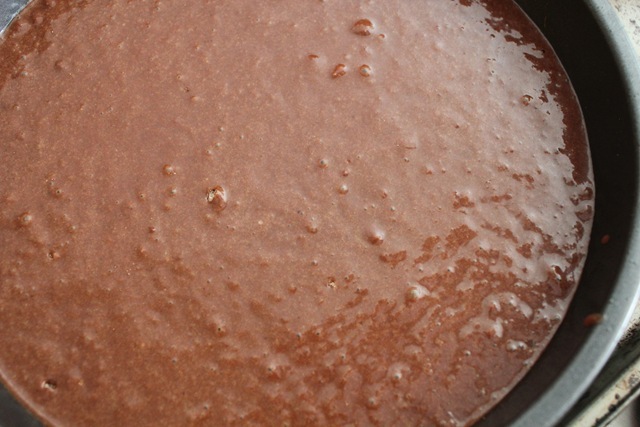 I made a raw pudding with Avocado, raw cacao powder, young coconut meat, coconut oil and almonds. IT was so decadent everyone loved it. Yummmm I’m craving it now!!! Your raw pudding recipe sounds good, something I think I would enjoy. Can you please share the recipe? I would love to try it. I just need to find young coconut meat, but I see those at the asian market, so it shouldn’t be that hard to find. This looks delicious! 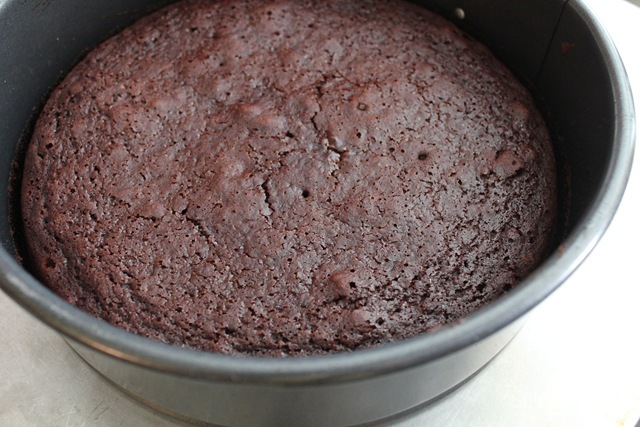 My sister once make a chocolate cake with avocados in it and it was soo good!! I need some chocolate today and haven’t had any yet! I love avocado in desserts! Happy Valentines Day! avocado? hmm must try! biscoff and nuttella! oooo both together delishh! This looks simply AMAZING! It looks so decadent and delicious. Your recipes are genius!